Team building to start the new year, how to motivate your team? If you are looking for a recreational activity for your colleagues, we have what you need! Here is a selection of team building to start the new year and motivate your co-workers for a successful 2019 year! 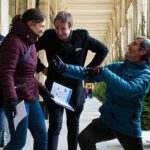 First, in our list of the best team building to start the new year, we take you to discover the famous Parisian covered passages. Booster2Success created a fun and recreational activity in the heart of Paris. Take part in this 2 hours tourist scavenger hunt. 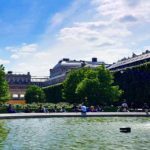 Divided into teams, you will explore the district with your tourist guidebook, and go back in time to discover the most beautiful galleries in Paris. Did you always dreamed about exploring the Louvre, one of the most fascinating museum in the world? We created a fun and original way, with a cultural and tourist paper chase inside the museum. This mythical museum will be your playfield, what more could anybody want? 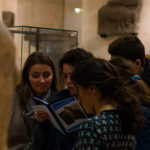 Gaze at the Louvre museum through time, explore the place but get off the beaten track to discover secrets and unique masterpieces. During your visit you will take part in multiple challenges, solve riddles and strengthen team cohesion in order to get to the final mission! Let’s continue our series of the unmissable team building to start the new year. If you are looking for a recreational activity in the artistic and famous Montmartre hill, we have what you need! Montmartre is a Parisian village, and our tourist visit will lead you to every (secret) corner of the district! Here is the program: an artistic travel through time with unique riddles and various challenges. This team building is suitable for any size of group from small to larger ones. Tourist rally in Paris: help Gustave Eiffel to get back his love! Booster2Success selects the best unique team building activities in Paris. CONTACTEZ-NOUS to benefit from our expertise to organize an event in Paris.